The natural range of wild boar covers Eurasia, where it can be found from Spain and Portugal in the West to the Russian Pacific Coast in the East. Almost every European country has some wild boar hunting to offer. A few exotic destinations for wild boar hunting include Turkey and Tajikistan. With few people hunting boar in these Islamic countries, the trophies get unbelievably big. Wild boars were also introduced to other continents, and wild boar hunts are offered by outfitters in countries like Argentina and New Zealand. For pig hunting in the USA, please check “hog hunting”. Wild boar hunting opportunities in Europe start from $300-$500, but mind the trophy fees. If you’re looking for a trophy hunt, the “shooting price” of the boar may depend on the size of its tusks, with record book class trophies adding sometimes thousands of dollars to the list price of the hunt. Exotic wild boar hunting in places like Argentina and New Zealand are typically in the $2,000-$3,000 range. 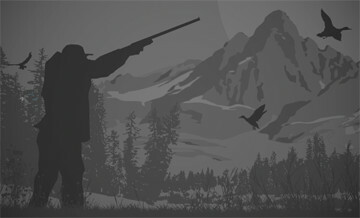 The more expensive offers are usually combination hunts with other species including red deer, tahr, and even buffalo. Over half a million wild boars are killed by hunters annually in Germany alone, showing how important wild boar hunting is for Europe. Read about ancient traditions and most modern weapons and hunting equipment, wildlife management issues and cultural heritage, and everything you need to know about wild boar hunting in Europe. When to hunt Wild Boar? Crop protection seasons in Europe typically begin in the summer, and the hunting season commences until the mating time in the end of winter. What season to choose depends on what style of hunting you prefer. Driven hunts and hunts with dogs usually take place mid-season, in September-December, and in the early and late part of the season most hunting is done from high seats. Wild boar hunting in the Southern Hemisphere takes place a year round. Most wild boar hunts are done either from high seats, or by driving. European driven hunts are a world in themselves, and there are many variations from country to country, and even within the country. The biggest challenge here is shooting running, which is becoming a lost art for modern hunters, and instant species identification. Thermal and night vision hunts are legal in a few Eastern European countries as well. Dogs are used to assist beaters in many European driven hunts, and the old tradition of hunting with packs of dogs that hold the boar in place until the hunters arrive and do the job with a gun or a knife is still alive on some parts of the globe. Hunting wild boar is part of cultural heritage that goes beyond the outdoors. The Greeks listed capture of the Erymanthian Boar among the twelve labors of Heracles, positioning pig hunting among the activities suitable for a demigod. Medieval minstrels sang songs about their masters’ boar hunting pursuits. A wild boar, roasted whole, was the main dish on any princely feast, and the tusks were the token of the hunter’s courage and skill. The ancient traditions live today - join in the hunt and become part of them.